Philips Linear fluorescent plant and aquarium bulbs have a unique spectral range designed to enhance growth of indoor and aquatic plants. The colour of the lamp also enhances the appearance of aquarium fish and decorations. For plant growth and aquarium lighting. Philips T12 fluorescent lamps have a specially formulated powder coating that brings colours to life in any room of your home. Daylight Fluorescent Light Bulb creates a cool, refreshing indoor environment. ALTO reduced mercury products are better for the environment. 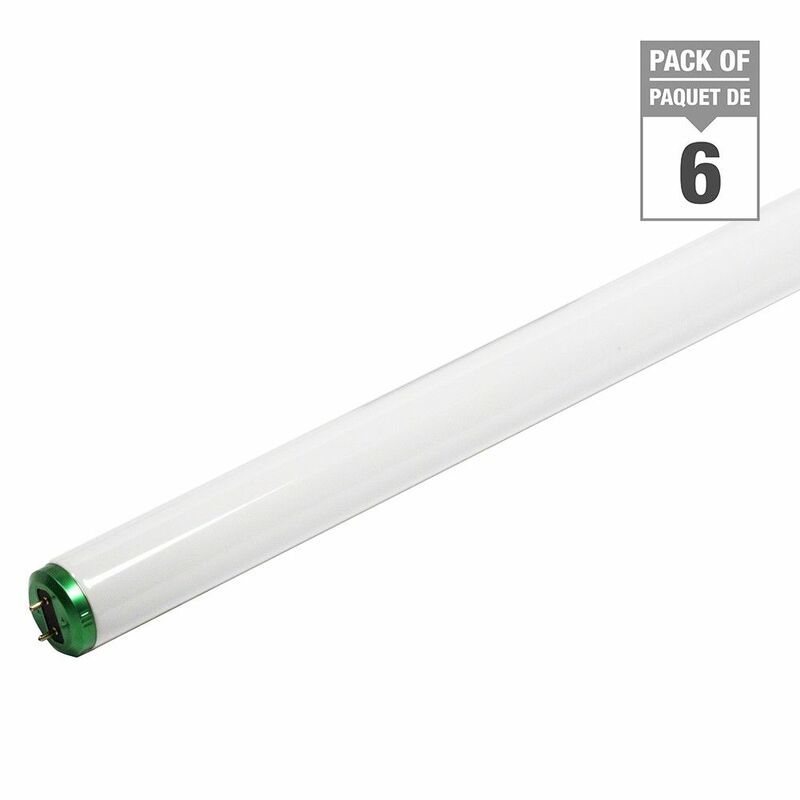 Philips T5 Fluorescent Lamps are incredibly powerful, environmentally responsible, long life lamps with an ultra-slim profile. This translates into reduced maintenance and disposal costs and also allows the use of smaller fixtures which reduces ceiling clutter. Fluorescent 32W T8 48-inch Plant - Case of 6 Bulbs Philips Linear fluorescent plant and aquarium bulbs have a unique spectral range designed to enhance growth of indoor and aquatic plants. The colour of the lamp also enhances the appearance of aquarium fish and decorations.